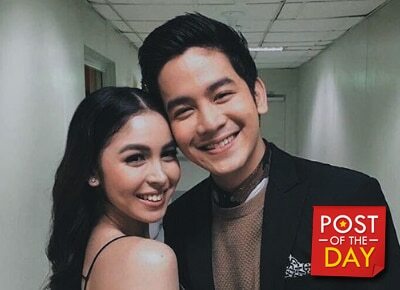 Guests at Julia Barretto's barbecue birthday bash were not able to hide their "kilig" after she and ka-love team Joshua Garcia took to the dance floor. JoshLia, as their fans call them, slow danced to the "Beauty and the Beast" theme song. Julia's mother Marjorie Barretto even posted a snippet of their sweet moment on her Instagram account. After dancing, Joshua took on the microphone and sang "Your Body is a Wonderland" as seen on Alora Sasam's Instagram stories. Prior to this birthday bash, Julia celebrated her birthday with her family over dinner with Joshua among the few attendees.